Summertime brings those winter daydreams of soaking up the warm sunshine while swaying with your pals to the beats from your favorite bands a reality. Being avid concert-goers and music enthusiasts, we love keeping up with the latest events we aren’t able to attend. So needless to say we were thrilled when we learned that some of our favs – Eminem, Foo Fighters, Coldplay and Muse – would be heading this year’s Lollapalooza. As if that wasn’t enough to be excited about, the anticipation was too much when we heard the eyewear extraordinaires from OGI Eyewear would be there too. 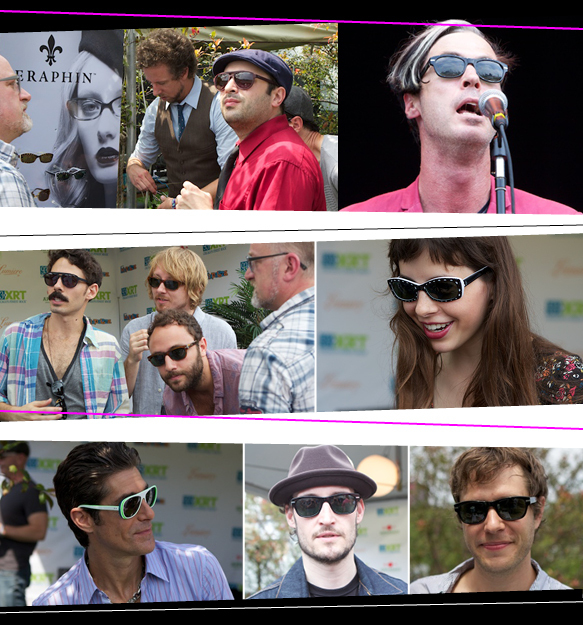 Ogi Eyewear teamed up with Chicago sunwear store Lumiere to create a backstage boutique where they showed off their hottest sunnies of the summer to these rockin’ bands. For those that don’t know, Lollapalooza is an annual music festival featuring popular alternative rock, heavy metal, punk rock and hip hop bands, dance and comedy performances, and craft booths. It has also provided a platform for non-profit and political groups. Lollapalooza has featured a diverse range of bands and has helped expose and popularize artists such as Red Hot Chili Peppers, Pearl Jam, The Cure, Primus, The Killers, Rage Against the Machine, Arcade Fire, Nine Inch Nails.